The gluten-free menu, created by chef Anthony DiPascale and implemented at both locations, is ambitious. It includes nearly a dozen wood-fired pizza varieties along with a slate of appetizers, brown rice penne pasta dishes (a good start, though I'd like to see a sturdier corn or corn/rice variety in place) and protein entrees. Yes, there are pizza standards like Margherita but also some bolder options like the Gaetano (broccoli rabe, homemade sausage, roasted garlic and Asiago). 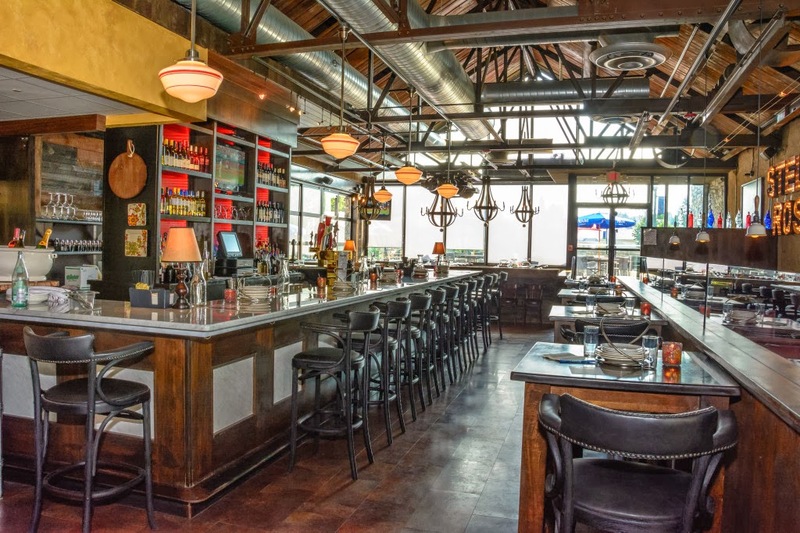 In addition to more than two dozen wines sold by the glass, carafe and bottle, Redbridge beer, Angry Orchard hard cider and cocktails round out the drinks program. At a recent dinner at the Philly location, my friend Chris and I began the meal with an Di Bruno Bros.-sourced antipasto ($14) comprised of several cured meats, cheeses, marinated vegetables and olives sans crostini. We previously turned away a basket of glutenous wheat bread, brought over before the staff was aware we were ordering from the gluten-free menu. 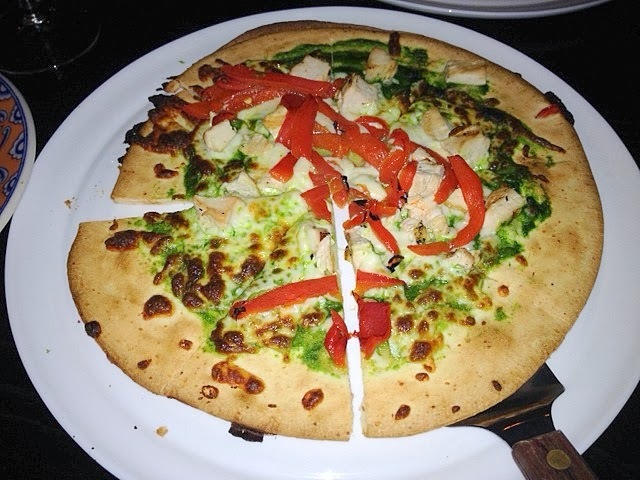 We ordered two pies: Margherita ($11) and the Fru Fru, topped with grilled chicken, basil pesto, roasted peppers and fresh mozzarella ($14). The gluten-free crusts are brought in from outside the restaurant and are cooked in foil pans. Before we were seated, I spoke with one of the pizza makers working the open kitchen about the pizza preparation. He told me that the ingredients (sauce, cheese and toppings) are pulled from the backup for gluten-free orders to avoid cross contamination and a separate cutter is utilized. The thin-crust pizzas were delicious, particularly the nutty Fru Fru, but were lukewarm temperature-wise. 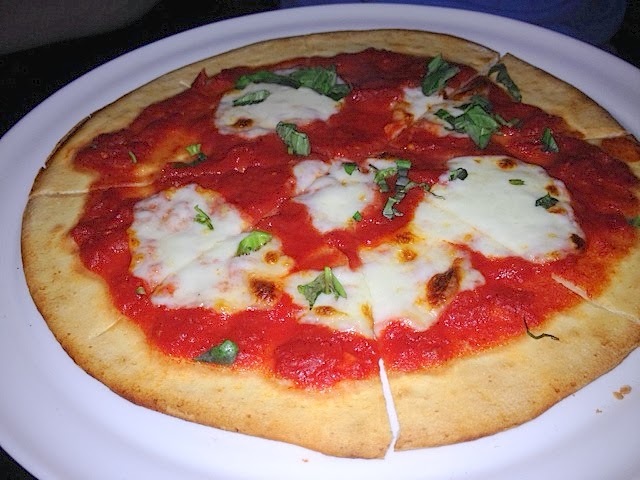 It's a chef's dilemma - cooking gluten-free pizzas in an aluminum pan typically results in uneven cooking, yet placing the pie on a screen to better absorb the heat might render the thin crust into a cracker. Since the menu roll-out is so new, I'm optimistic the kitchen can experiment to find a happy medium with the pizza. After that, perhaps Magrogan and his team can work on a new concept: a gluten-free soft pretzel shop. I think I need to make a trip to Philly for that Gaetano pizza!